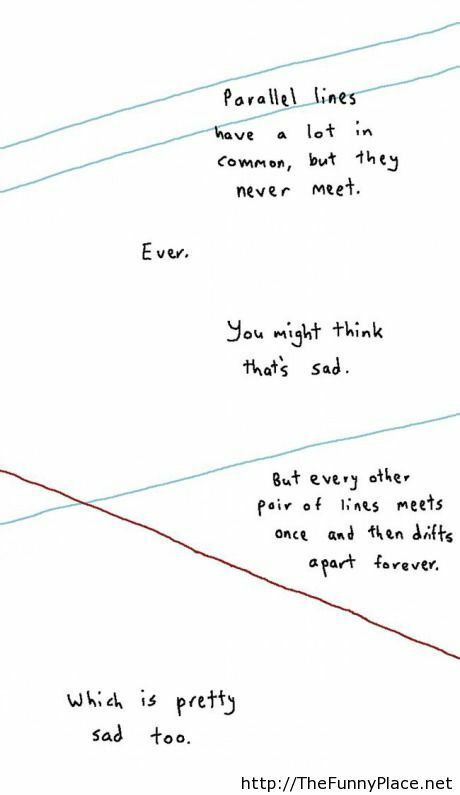 I get sent math jokes all the time. Just check my FB wall. I feel like I’ve seen them all. This was new to me though. 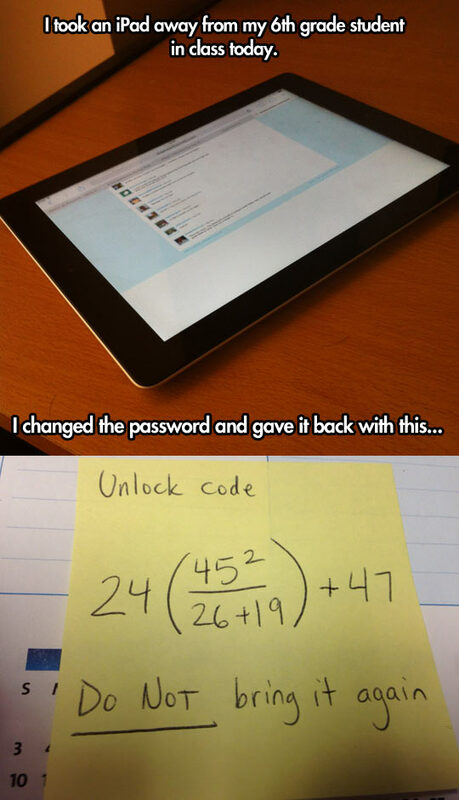 Kinda sweet and funny? Thanks, Sue, for sending it my way. This is an all-time classic math gag that I wasn’t even aware of until Lee at Prime Puzzle sent it over. Ralph P. Boas Jr. under the pseudonym H. Pétard published this lark, A Contribution To The Mathematical Theory Of Big Game Hunting. The subtitle should be How to Catch a Lion with only a Graduate Degree in Math or Physics. He outlines 9 methods from mathematics, 4 methods from theoretical physics, and 3 method from experimental physics. The Bolzano-Weierstrass Method. Bisect the desert by a line running N-S. The lion is either in the E portion or in the W portion. Bisect this portion by a line running E-W. The lion is either in the N portion or in the S portion. We continue this process indefinitely, constructing a sufficiently strong fence about the chosen portion at each step. The diameter of the chosen portions approaches zero, so that the lion is ultimately surrounded by a fence of arbitrarily small perimeter. Check out all the methods over at Lee’s site. 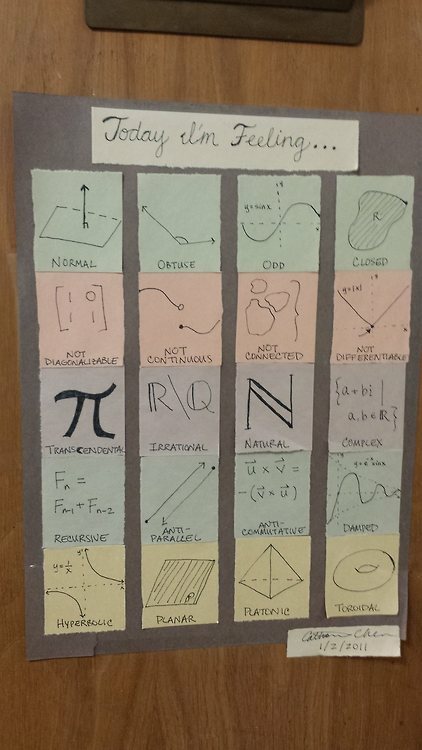 Rob Clark sent this trig joke over. 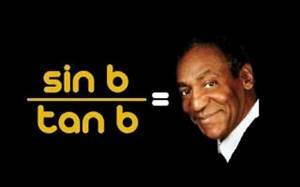 It makes me wish Bill Cosby was my math teacher. Just look at that face! I just dropped my first single, as my students would say. Check me out. I think with a little auto tune I might be taking over the top 40.